From Balanchine to Bournonville and Petipa to Tharp, Ballet West boasts a rich and varied repertoire, elegant and versatile artists and an American style and legacy that is as dynamic, expansive and unexpected as the Rocky Mountain region it represents. Ballet West has toured the world several times over presenting the very best in American classical ballet. Ballet West was established in Salt Lake City in 1963. Willam F. Christensen was the company’s first artistic director, co-founding the company together with Utah’s “First Lady of the Arts” Glenn Walker Wallace. 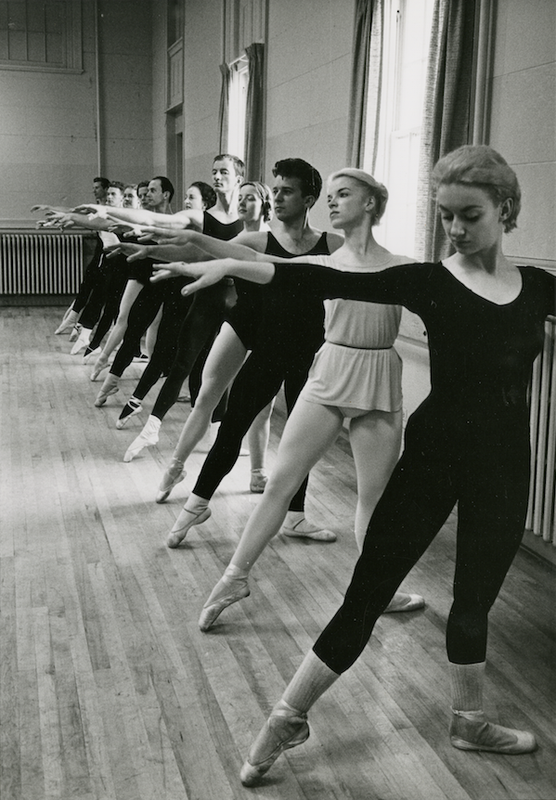 In 1951, Christensen had established the first ballet department in an American university at The University of Utah and with the tireless assistance of Mrs. Enid Cosgriff this program grew into the Utah Civic Ballet, Ballet West’s first incarnation. But this was not the first ballet company Willam Christensen founded. Along with his brothers Lew and Harold, Christensen made history by establishing the oldest ballet company in the western United States, the San Francisco Ballet. There he went on to create the first full-length American productions of Coppélia, Swan Lake, and his evergreen production of The Nutcracker, which remains in Ballet West’s repertoire to this day. With 40 company members, 10 second company members, and a thriving academy that trains dancers of all ages, many of whom have gone on to professional careers with Ballet West and companies around the world, Ballet West ranks among the top professional ballet companies in America. Since its inception, the Company has had five artistic directors – its founder Willam Christensen, Bruce Marks, John Hart, Jonas Kåge and currently Adam Sklute, each who have helped to build Ballet West’s unique and expansive profile. A 20th Century ballet pioneer, Christensen developed a distinctly American and theatrical repertoire for his company based on his early training in Utah and New York City as well as his years traversing the American Vaudeville circuit. He also built a strong connection to the works of George Balanchine. In 1975 Christensen invited the great American dancer Bruce Marks to join him as Ballet West’s Co-Artistic Director. Marks became Artistic Director in 1978 when Christensen retired. Under Marks’ direction, the company presented its first full production of Swan Lake and it earned a reputation for developing emerging choreographers of the time. Also during this period Marks made history, along with his wife, the acclaimed Danish Ballerina, Toni Lander, by presenting the first American full-length production of Abdallah by renowned 19th Century Danish choreographer, August Bournonville. John Hart, C.B.E., former dancer, administrator, and Assistant Director of The Royal Ballet in England succeeded Marks as Artistic Director of Ballet West In 1985. Under his leadership, the company’s repertoire was expanded to include more well-loved 19th Century classics such as The Sleeping Beauty. Hart further enriched the company’s treasure trove of ballets with the works of many early 20th Century masters, most notably the great Englishchoreographer, Sir Frederick Ashton. From 1985 to 1996, Hart engaged San Francisco-based Val Caniparoli as Ballet West’s resident choreographer. Internationally known dancer and choreographer Jonas Kåge served as Artistic Director from 1997 to 2006. During this time Kåge maintained Ballet West’s repertoire of classics while revitalizing its profile with notable late 20th Century choreographers such as Christopher Bruce, Hans van Manen, Glen Tetley and William Forsythe. Since 2007, Artistic Director Adam Sklute, former dancer, Ballet Master and Associate Director of The Joffrey Ballet has further energized and expanded Ballet West’s remarkable repertoire with works by the most renowned choreographers of today such as Ulysses Dove, Jiri Kylian, Mark Morris, Twyla Tharp, and Stanton Welch. Sklute has also introduced the elegant historical masterpieces from the great Ballets Russes of the early 20th Century and continues to preserve Ballet West’s classical legacy. Sklute has further strengthened Ballet West’s heritage by introducing new creations by local, national and international choreographers. For 50 years, Willam Christensen and Ballet West have developed and influenced innumerable great artists in the ballet world. Some notable figures include Bart Cook, Finis Jhung, Jay Jolley, Victoria Morgan, Tomm Ruud, Michael Smuin, Richard Tanner, and Kent Stowell. With this eclectic and ever expanding outlook, Ballet West is truly an American pioneer in the world of dance. presentation, training, and education in the art form of ballet.